Here’s more on a few of Tim’s books. One of the most revered, imitated, and controversial government documents in the world, the U.S. Constitution serves as the foundation for the American government and shapes the lives of Americans every day. But how many know its history and the impact its had on American laws and practices throughout history? This guide serves as the most current and accessible handbook to this all-important document. Please feel free to get in touch if you have comments or questions or suggestions, including ideas for future books you’d like to see him write. Here’s a bit on some of the other greatest hits. With a foreword by noted Columbia University Journalism Professor Samuel G. Freedman and chapters written by two dozen of America’s most successful independent magazine journalists and nonfiction articles, this book offers many practical strategies and suggestions on how to establish and maintain a business as a freelance writer. Published in 2003, it’s already in a fourth printing. 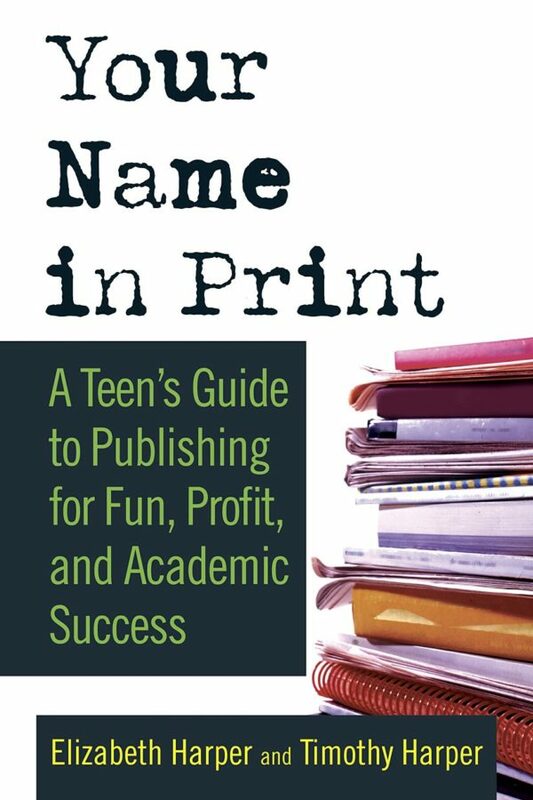 One of Tim’s favorite books was published by St. Martin’s Press: Your Name in Print, a guide for teenagers who want to get their writing published. It’s a special book for Tim because his co-author is Elizabeth Harper — his daughter Lizzie. Click here for the latest review, or order it from Barnes & Noble online or from Amazon.com. Or you can order a signed copy of the book from Bookends. A collection of Tim’s magazine profiles of people making the world a better place for their communities, their families and themselves: the professor who runs Computer Camp in Appalachia; the best pickup basketball player in America; Big City Forest; Johnnetta “Sista Prez” Cole; Eric Heiden; Frank Serpico; the Silver Surfers who teach fellow seniors to use the Internet; Operation Santa Clause, and dozens more. Read the first chapter here. Written with an anonymous co-author, a former stockbroker confessing his many sins, this tell-all at the peak of the Wall Street boom exposed many of the common but then little-known ways that brokers routinely mislead and sometimes outright lie, cheat and steal from clients. The book caused a stir in financial circles and rose to No. 42 on Amazon. Read the first chapter here and reviews here. This fast-paced case study, described by reviewers as a business thriller, followed Rick Grajirena, an American entrepreneur and former world sailing champion, in the many ups and downs as he tried to get rich in the newly wide-open Russia when it was a financial frontier in the 1990s. The book is used in graduate school courses on international business and law. Read the first chapter here. Co-authored with Garrett Oliver, the acclaimed brewmaster at the Brooklyn Brewery, and with a foreword by Michael Jackson, the world’s foremost beer writer, this book has been hailed as a great introduction for anyone who wants to know more about beer: history, ingredients, brewing techniques, varying tastes, storing and serving beer, beer and food, and much more. This lively pocket-sized guide, gleaned from Tim’s nine years in Britain, offers lots of practical — and sometimes little-known — inside advice, whether for the traveler passing through of the expat living in the UK.